The School of Statistics at the University of Minnesota has established and maintained an international reputation for excellence in teaching and research which dates back to its origins in 1958. In its present state, the School houses theoretical and applied statistical studies under one roof. Degrees offered include a Bachelor of Arts in Statistics, a Bachelor of Science in Statistics, a Master of Science in Statistics, a Master of Science in Data Science, and a Doctor of Philosophy in Statistics. Courses are taught by internationally distinguished faculty, including many elected fellows of the major statistical organizations such as the American Statistical Association, the Institute of Mathematical Statistics, and the International Statistical Institute. Many faculty members are or have been editors or associate editors of major journals. 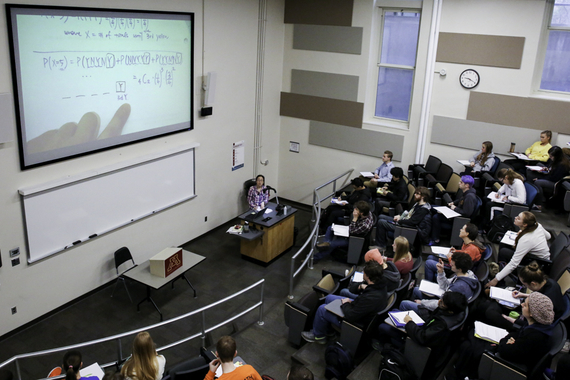 Several professors are the recipients of awards for excellence in teaching. The School provides additional opportunities for interdisciplinary collaboration and professional development through the Institute for Research in Statistics and its Applications (IRSA). Students are encouraged to work as research assistants for IRSA’s Consulting Center where they receive hands-on experience solving challenges for real-world clients. Furthermore, students gain access to IRSA’s conferences, workshops and short courses where their knowledge of statistics and data science is applied across disciplines to address critical challenges of the 21st century. Graduates pursue successful careers in business, academics, industry, government, medicine, publishing, scientific research, and much more.